Ceramic coffee cup that is uniquely glazed by hand. Strong stoneware that doesn't absorb moisture, each cup can be used for takeaway beverages, drinks at home, or at gatherings. Support an Australian pottery and local, skilled craftsmen. 8oz/ 236ml. Shoreline colour/ design with Biome stamp. Made by Robert Gordon pottery, one of Australia's last large-scale potteries that employs skilled craftsmen to create handmade items. Stoneware clay body is fired twice for added strength. The 'Shoreline' glaze is a very beautiful glaze, but a much more complex glaze to create compared with the other styles, requiring extra man-hours, handling and steps. For this reason, the 'Shoreline' styles are slightly more expensive than the other styles. Warm, gentle hand wash recommended. 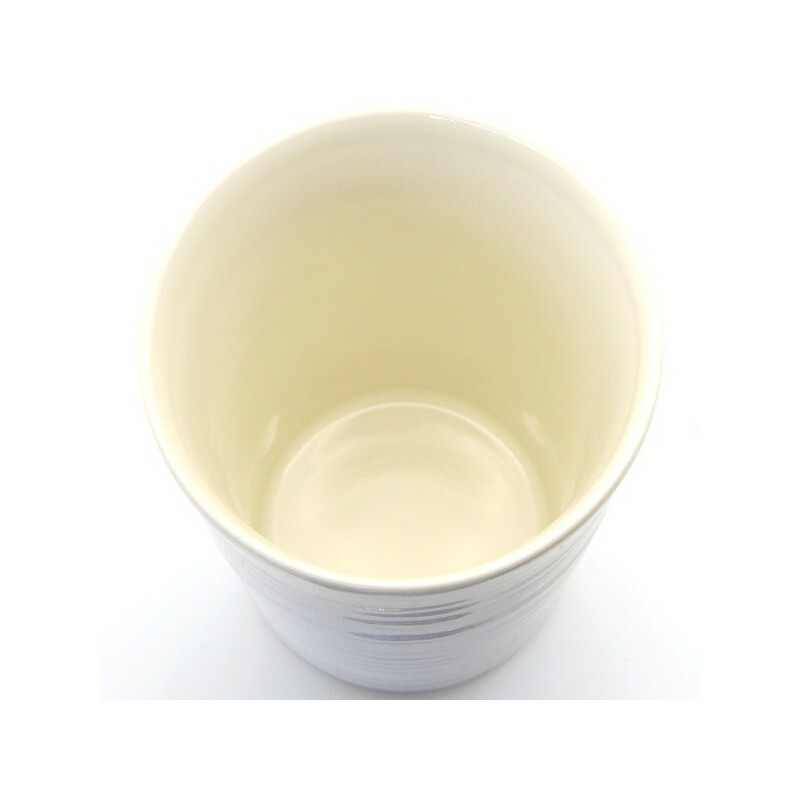 Caution: This ceramic cup is not double walled so therefore care must be taken when handling the cup with hot contents such as tea. 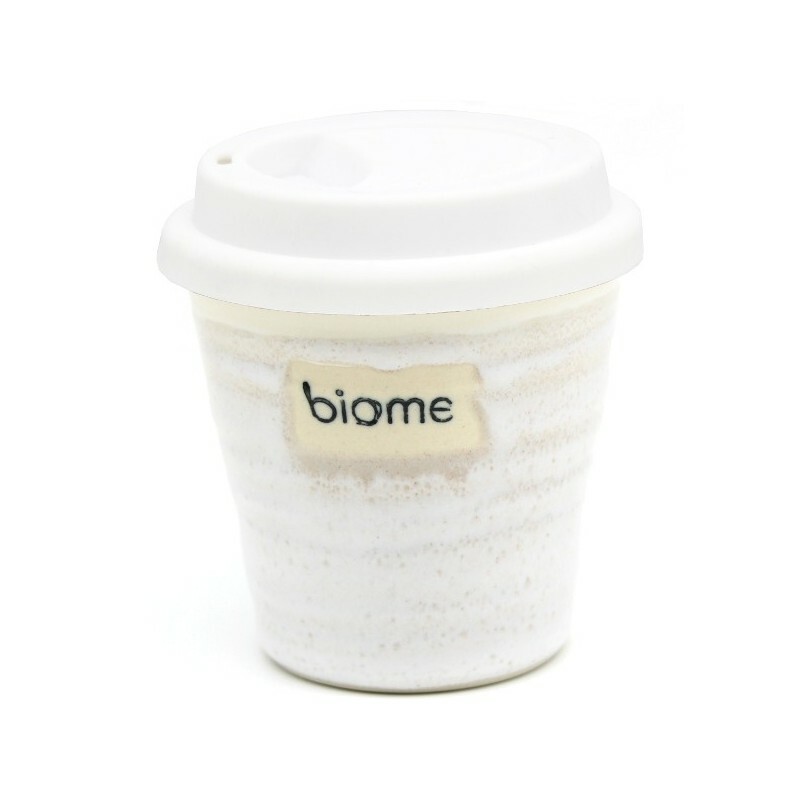 Ceramic heats up easily and the cup may become very hot to touch. 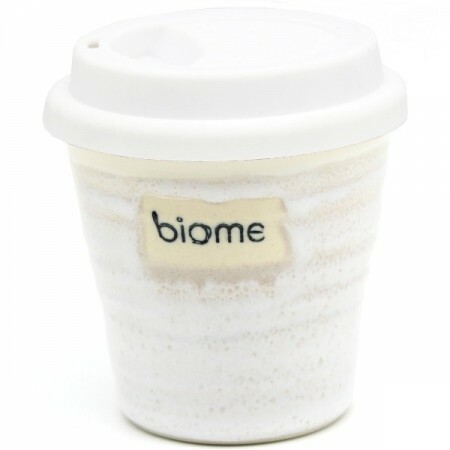 Stoneware ceramic cup body, silicone lid.